A little bit feathery, a little bit pointy. Productive weekend! Got a really nice comic finished for tomorrow, which is helpful, because tomorrow is the day I go to the Fox’s house and we sit and silence and write for 2 hours, and also the day that I volunteer at the elementary school, and I have another engagement as well, so that doesn’t leave a lot of time to make comics. Also got a good chunk of the next day’s comic started, which is helpful. Also, I got a new phone, because my giant ZMAX died an ignominious death after an entire week of not really letting me play Pokemon Go. Sadly, they don’t make this kind of phablet anymore. The Man found one on Craig’s List but someone else got there first, so he bought me an LG, which will probably be OK, once I get everything arranged the way I like it. How anyone can not organize their icons by alphabetical order is beyond me. This is a really pretty mandala, only slightly askew. And that’s Labor Day weekend. There goes summer, once again. The autumn always gets me a little bit down, and it’s hard not to compare the year to my life, i.e. if my life were a meteorological year beginning in the spring, it would now also be the beginning of autumn. On the other hand, The Man and I went to the last late night of the season at the Desert Museum on Saturday, and in the weird fluorescent light of the bathroom, I thought I’d found my first gray hair. But it was just the lighting. So maybe it’s still the 4th of July. This entry was posted in Uncategorized and tagged aging, blue, green, mandala, mortality, phone, pink on September 5, 2016 by littledragonblue. 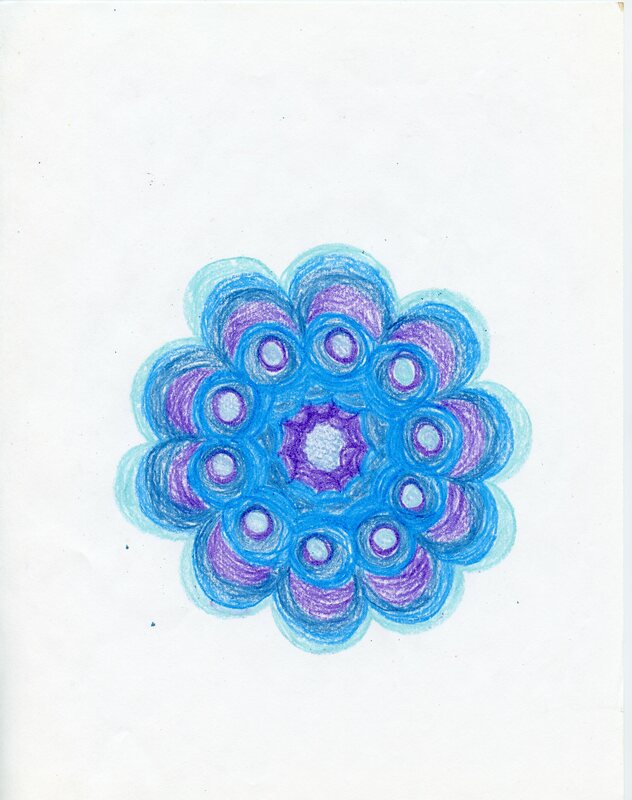 There came a point at which I realized that the mandalas were starting to form patterns, which allowed me to deliberately mix those patterns up. 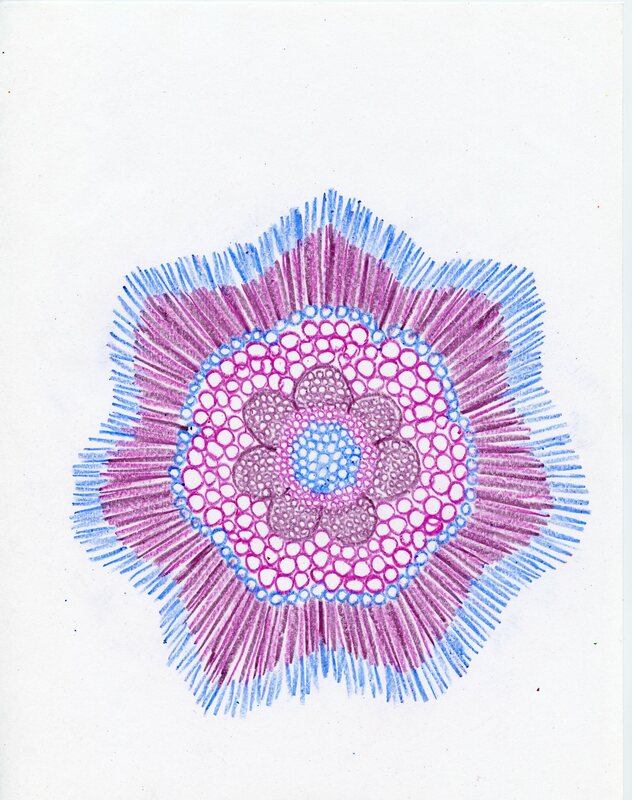 I had mandalas with crystalline structure, and mandalas that look leafy and flowery, and mandalas that had creature elements. This one combine all the three. In the center a sort of garnet-y thing in purple and red, surrounded by a sort of a green lily pad, with a feathery blue edge that reminds me of a sea creature. Been tinkering with the same comic all weekend. It’s closer, although I still don’t have the last panel. The illustrations are coming together, at least. So I’m drawing these pictures and trying to figure out why the ones that are supposed to be kids look like adults. And then I realize that kids have great big heads on their little tiny bodies. If you don’t give them enormous heads they just look like thin adults. Anyway, I would have gotten further but The Man wanted to watch Boyhood with me. It’s a very long film. The concept is fascinating, though. Not only could then have no way of knowing what the child actors would look like at the end of the movie, they couldn’t have written certain scenes (like when the main character rants about Facebook) before they actually pitched the film. Not to mention the music. I neglected to take any of the vast quantity of OTC medications that have been keeping my sinuses from back up into my brain, so now I have a headache, too. Still, I’m going to try to get this comic at least 50% finished tonight. Otherwise tomorrow night I’ll going nuts either scrambling to finish it or to dash out some kind of filler comic. 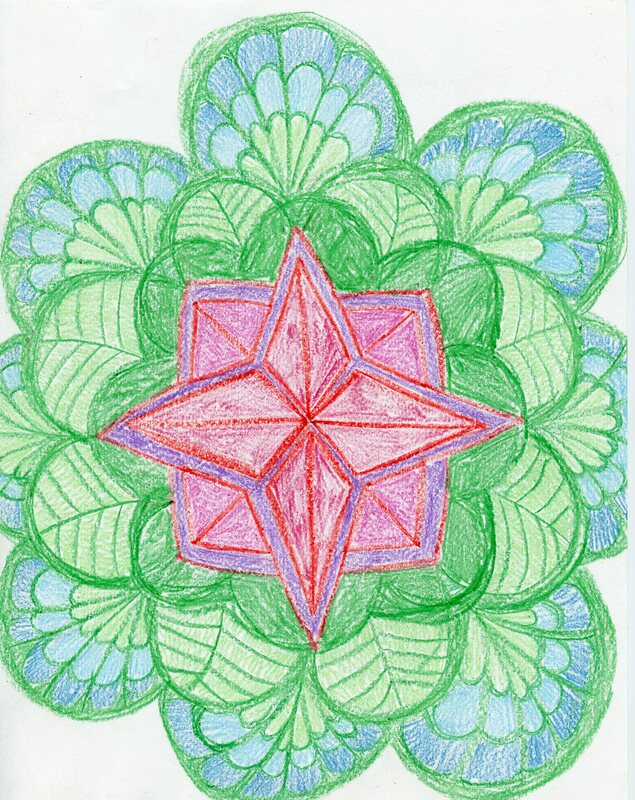 This entry was posted in mandala and tagged art, blue, crayola, crayon, drawing, green, mandala, red, symmetry on November 2, 2015 by littledragonblue. With elements reminiscent of doubles helices, crystals, and stones, today’s mandala creates glamor from organic elements. Everything seems to be tied together, even the sharp triangle/diamond shapes jutting out of the central design. Plus, blue/purple is my favorite color combination lately. 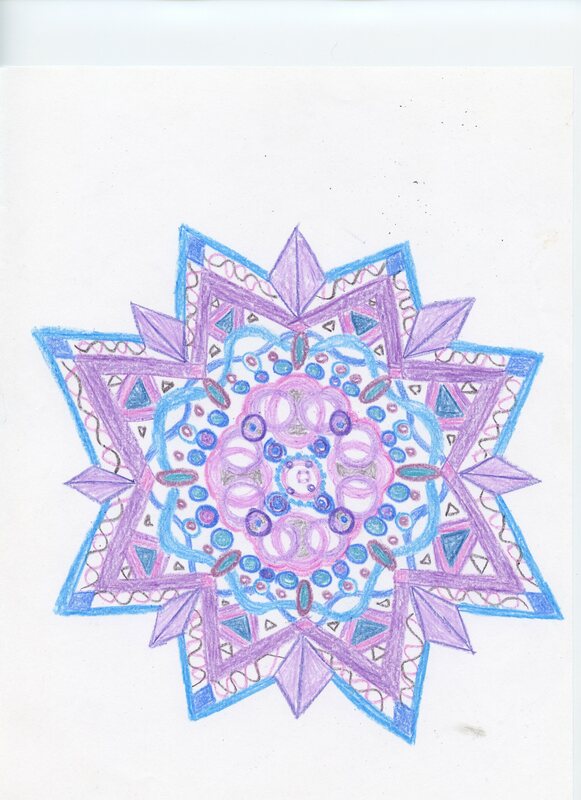 This entry was posted in mandalas and tagged blue, crystalline, helix, mandala, purple on January 8, 2015 by littledragonblue.